To get people tuning in to audiobooks, Audible is yanking stories off the page and plunging readers right into the narrative. 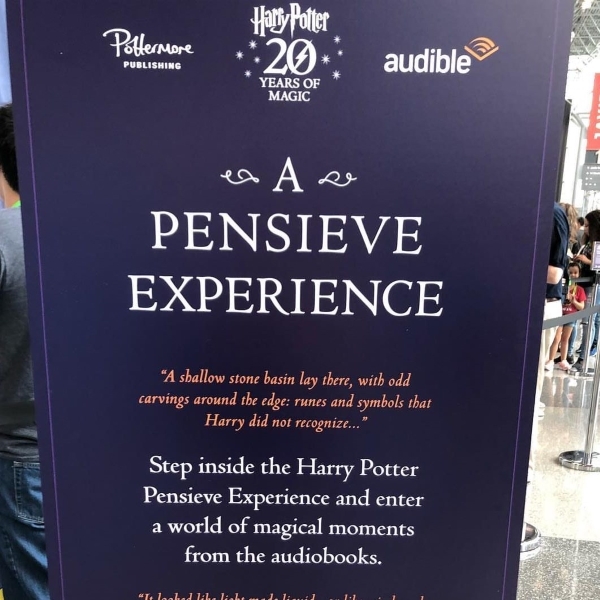 At New York Comic Con last weekend, the seller and producer of downloadable audiobooks partnered with Pottermore Publishing for a Potter-themed activation — “A Harry Potter Pensieve Experience” — that showed off audio clips of the books in an interactive setting. The activation was inspired by the books’ Hogwarts Pensieve, which lets people relive their memories. We chatted with Audible SVP of content marketing and merchandising Sara Moscowitz about why Audible is investing in the medium. “To be able to have that in-person and real-life experience, the type of impression that creates on a consumer is invaluable,” she says. Watch the video for more.